Those who join the public health sector and work with the ministry of health receive very little pay, education and training, will have to work without vital equipment or outdated ones, enormous workload, very little personal and professional satisfaction and possibly will have to work in the afternoon in a private job to try to make ends meet. You can be paid what's equivelant to 45 USD after 3 or 4 more years of graduation or 100 USD if you spent your lifetime. 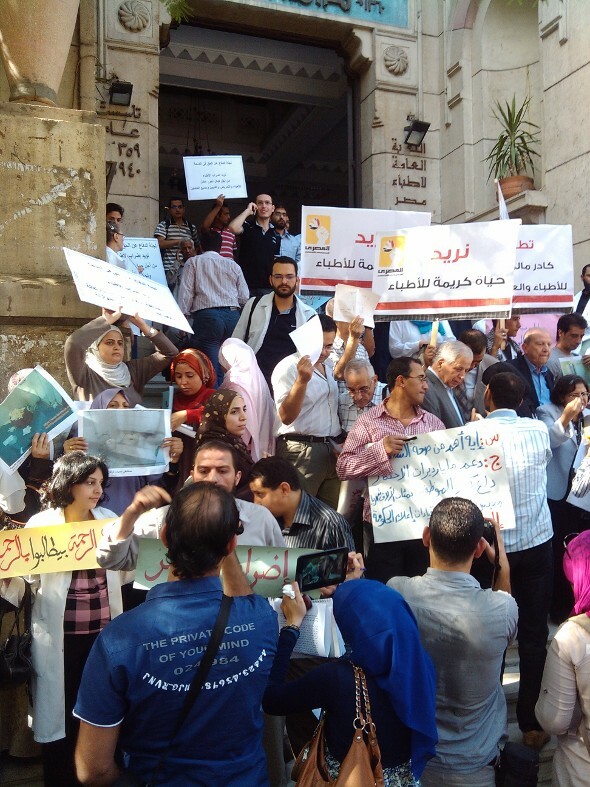 Five years ago a small number of doctors working in the Ministry of Health organised under the name Doctors Without Rights. Led by Dr. Mona Mina and others they managed to organise a critical mass of doctors to demand a fair wages bracket that will make life decent. They also have always stressed that this along with other improvements in the health insurance policy and other reforms are necessary for the patient. They are still active and more doctors have joined their call. Yet they are still far from their goal. There has to be serious action taken. Already we can see some angry patients resorting to violence against hospital staff out of desperation. To be honest the service provided isn't a service. It is humiliation, criminal negligence and lack of care. You can very well blame the doctors entirely for this but that's not fair. The doctors in the emergency departments are there for a year or two and will leave. They are there for a shift and will happy to leave the next day, to go back to the emergency department after a couple of days. They are partly to blame of course but you have to see that they are also just parts of a very broken machine. Improving health care in Egypt isn't impossible, there are lots of ideas and still there may be a framework to build upon something better. Increasing what doctors receive at the end of the month is just one issue but it won't be enough. The private sector isn't an option for a country with so many poor people. The current health care sector is Mubarak's legacy and Morsi is watching it collapse.